See also: Infographic: How Much More Will the Romney-Ryan Medicare Plan Cost You? Former Massachusetts Gov. Mitt Romney and Rep. Paul Ryan (R-WI) want to convert our nation’s Medicare program into a voucher system for people who are under 55 years of age. Under their plan seniors beginning in 2023 would receive vouchers to purchase health insurance from private insurance companies or from traditional Medicare. If premiums for traditional Medicare or the private plan they choose cost more than the voucher amount, then seniors would have to pay the difference themselves. The Romney-Ryan plan would also convert the joint state-federal Medicaid program into a so-called block grant program, designating a reduced amount of fund s for each state. And the Romney-Ryan plan would repeal the Affordable Care Act, which reduces drug costs and Medicare premiums and increases access to preventive services for all seniors. 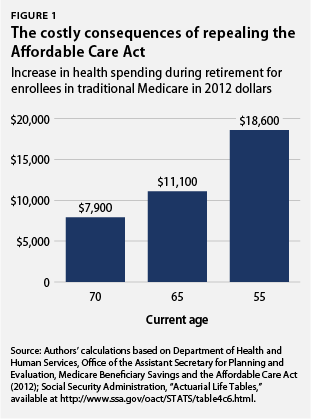 Increasingly unaffordable costs for all seniors who qualify for Medicare after 2022. For seniors turning 65 in 2023, Medicare costs during retirement would increase by $59,500 in 2012 dollars under the Romney-Ryan plan. Because under the Romney-Ryan plan the amount of seniors’ vouchers will not keep pace with rising health care costs, these numbers are even worse for future generations. In today’s dollars seniors who qualify for Medicare in 2030 would see an increase of $124,600 in Medicare costs over their retirement. Seniors who qualify for Medicare in 2040 will see an increase of $216,600. And by 2050 newly eligible seniors will pay $331,200 more in Medicare costs over their retirement. Additional costs from private plans cherry picking healthier patients. Three-fourths of all Medicare beneficiaries are currently in traditional Medicare. The Romney-Ryan plan would include traditional Medicare as an option in the proposed program, but the costs for seniors who choose to remain in the traditional Medicare program would likely increase even more sharply than for seniors who chose a private plan. Most analysts expect the traditional Medicare plan to attract Medicare beneficiaries with the greatest health needs. In that case, Medicare would no longer enjoy a balanced risk pool and seniors choosing traditional Medicare could wind up paying an extra $29,000 on average over their retirement lifetime above and beyond the costs described above. Let’s examine each of these troubling consequences in turn. The Affordable Care Act saves money for both current and future seniors, but Gov. Romney has promised to repeal the Affordable Care Act if he is elected president. Repealing the Affordable Care Act will harm the 36 million current seniors in the traditional Medicare program in four ways. First, cost sharing for parts A (hospital care) and B (physician services) will increase because the Affordable Care Act’s adjustments to payment rates for health care providers other than physicians will be repealed. Since costs per hospitalization or nursing home stay will rise, the costs that beneficiaries have to pay will also rise. Second, this change will lead to increases in premiums paid by beneficiaries for Medicare part B. Third, the “donut hole” in the prescription drug plan, which will be closed by the Affordable Care Act, would be reopened, meaning both current and future seniors would pay more for the medicines they need. Finally, cost sharing for preventive services, which is eliminated under the Affordable Care Act, would be reinstated, meaning that seniors would have to pay for important preventive care, including cancer screenings that they now access for free. Despite Gov. 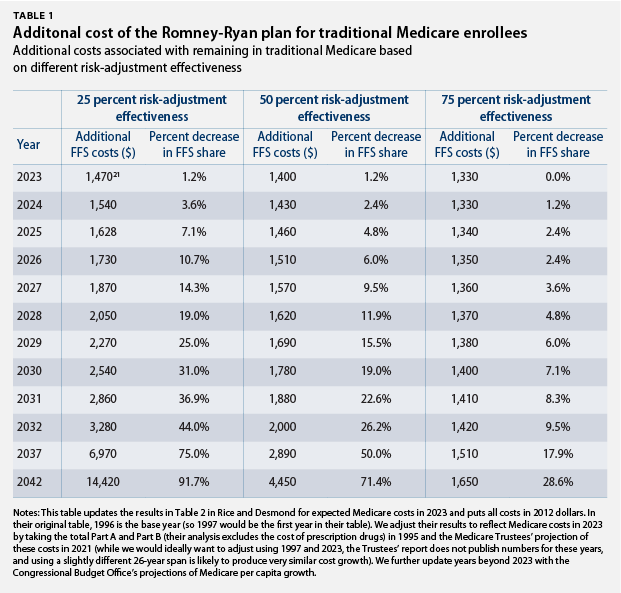 Romney and Rep. Ryan’s claims that their plan will not affect current seniors, estimates of the costs to seniors of repealing the Affordable Care Act suggests that annual costs for current seniors in traditional Medicare would rise by more than $200 in 2013, and that added cost would increase to more than $700 in 2021. To assess the long-term impact of these cost increases on seniors, we used the Social Security Administration’s life tables to translate these annual increases into Medicare costs over the course of their retirement. To account for inflation, we express all future amounts in 2012 dollars. Figure 1 shows our results. We estimate that a current 70 year old will pay nearly $8,000 more for Medicare in retirement as a result of the Romney-Ryan plan. A current 65 year old will pay over $11,000 more for Medicare in retirement. And a current 55 year old will pay over $18,000 more for Medicare in retirement. Gov. Romney and Rep. Ryan propose turning Medicaid into a block grant and cutting Medicaid spending by indexing the growth of the program to economywide inflation and population growth. The Congressional Budget Office estimates that by 2022, federal spending on Medicaid will fall 35 percent relative to a baseline that excludes the Medicaid expansion in the Affordable Care Act. By 2030 federal Medicaid spending will be 49 percent lower than the non-Affordable Care Act baseline. Because the Romney-Ryan plan would not implement reforms that reduce health spending overall, but only reduce the amount that the federal government will pay toward that spending in Medicaid, states and Medicaid beneficiaries will have to shoulder the total burden of the 49 percent reduction in federal spending. This would have a significant effect on seniors, as 9 million Medicare recipients currently depend on Medicaid funds, including 1.9 million seniors who rely on Medicaid to support their long-term care needs. To focus on how the Romney-Ryan plan affects current seniors, we focus only on Medicare beneficiaries who are 65 or older. Currently, 23 percent of Medicaid expenditures are paid on behalf of seniors who are also enrolled in Medicare. We apply this percentage to the total Medicaid cuts (excluding the increased Medicaid expansion under the Affordable Care Act) in the first 10 years of the Romney-Ryan budget. We then divide this product by the projected number of seniors who would rely on Medicaid over the next 10 years. On average, the Romney-Ryan Medicaid cuts would mean an annual decrease of $2,500 in benefits for each senior who relies on Medicaid to help pay for long-term care. To compensate for these cuts, either seniors or their families would have to pay more for their current levels of care or be forced to cut back on care. Beginning in 2023 the Romney-Ryan plan would convert Medicare spending into “premium support,” providing vouchers to beneficiaries to purchase either a private health insurance plan or the traditional Medicare plan. Private insurance plans would submit bids for how much they would charge to provide coverage. The voucher would be tied to the premium of the private plan with the second-lowest cost, or the premium for traditional Medicare—whichever is lower. If beneficiaries choose a plan that costs more than the voucher, they must pay the difference. In some geographic areas traditional Medicare might make the lowest bid, but in others some private plans might make lower bids. In areas where private plans make bids that are lower than the cost of traditional Medicare, the voucher would be tied to the premium of a private plan. As a result many beneficiaries would be forced to pay sharply higher premiums to stay in traditional Medicare. The Romney-Ryan plan not only would shift costs to seniors who wanted to stay in a traditional Medicare plan but would also increase costs to all seniors. The plan would set the initial voucher amount at $7,500 in 2023. The plan caps the rate of growth in the voucher amount to the rate of growth of gross domestic product plus 0.5 percentage points. This growth rate is much slower than the projected growth in health care costs, which means that the voucher would become increasingly insufficient to cover the costs of insurance, therefore shifting an increasing share of insurance premium costs to seniors. There are no provisions in the Romney-Ryan plan that would be expected to reduce the rate of growth of these costs. Seniors will face higher costs not only because of this cost shift from the government but also because the Romney-Ryan plan increases systemwide costs by promoting private insurance that will be more costly than the existing Medicare system. The Romney-Ryan plan would cost more than the current Medicare system because, as the Congressional Budget Office has documented, private insurance companies have higher profits and administrative costs than Medicare does, and because the plan would reduce the market share, and therefore the purchasing power, of traditional Medicare. There also is evidence that “Medicare beneficiaries are less responsive to differences in premiums when choosing a health plan than the privately insured population is, so plans may have less incentive to compete on the basis of premiums in the Medicare market than in the privately insured market.” These concerns have played out in the part D market, where most savings achieved by the program are a result of factors other than competition, including lower enrollment and greater generic utilization. This significant increase in health care costs for seniors in the future due to this cost-shifting effect would consume 8 percent of their lifetime Social Security benefits for those turning 65 in 2023, 17 percent of lifetime Social Security benefits for those turning 66 in 2030, 30 percent of lifetime Social Security benefits for those turning 67 in 2040, and 42 percent of lifetime Social Security benefits for those turning 67 in 2050. The Romney-Ryan plan would also raise systemwide health care costs, adding even more to what seniors would pay under this plan. As the share of the population participating in traditional Medicare declines, Medicare’s market share would fall and neither Medicare nor any single private insurer would have sufficient market share to negotiate provider prices as low as Medicare can achieve now. In addition, with more private insurance companies involved in Medicare, administrative costs and profits would rise. In analyzing the 2011 version of the Ryan plan, the Congressional Budget Office projected that these factors would raise Medicare costs by 39 percent starting in 2022. Because there is considerable uncertainty about how many seniors would switch to the private plans and how rapidly Medicare’s bargaining power would decline, we decided to be conservative and assume that costs would rise by only half as much as in the CBO model, and that it would take 10 years for the loss in bargaining power to phase in. Even with these conservative assumptions, we find very large additional costs for seniors. The total additional retirement cost to seniors who reach retirement age after 2022 under the Romney-Ryan plan is shown in Figure 2. While retirees’ incomes will also increase over time as the cost-of-living adjustment to Social Security rises, it will not increase as rapidly as these required payments. The total additional costs to seniors would consume 15 percent of lifetime Social Security benefits by 2023, 29 percent by 2030, 46 percent by 2040, and 62 percent by 2050. 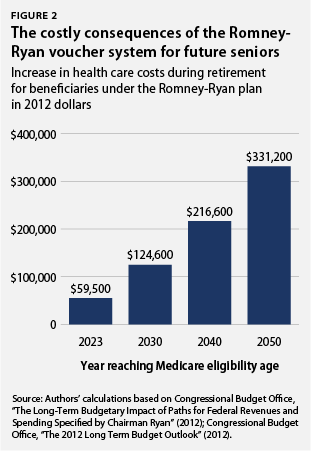 The impact of the Romney-Ryan plan would be even greater for seniors who want to remain in traditional Medicare. Over time, the costs associated with enrolling in traditional Medicare under the Romney-Ryan voucher system are likely to rise, potentially quite dramatically. The figures above reflect costs for the average Medicare patient, whether they are enrolled in traditional Medicare or a private plan. But the traditional Medicare program is likely to attract a disproportionate share of Medicare patients with the greatest health needs because these patients are most dependent on the broad choice of providers available in traditional Medicare. The Romney-Ryan plan would adjust the voucher for health status—redistributing payments from plans with healthier enrollees to plans with less healthy enrollees. This “risk adjustment” mechanism would certainly help, but would still be insufficient at controlling costs. Current risk-adjustment methods are still far from perfect. The current risk-adjustment model used to calculate payments to Medicare Advantage plans can account for only 11 percent of the total variation in Medicare enrollees’ annual costs.Current methods tend to overpay plans with healthier enrollees and underpay plans with less healthy enrollees. Moreover, recent studies show that private health plans have become increasingly sophisticated at manipulating how they code the health status of their patients, undermining the risk-adjustment procedures. Thus, even with risk adjustment, premiums for traditional Medicare would likely rise and enrollment would likely decline over time under the Romney-Ryan plan. This outcome is made more probable by the fact that the Romney-Ryan plan would not require private plans to provide a standard set of benefits—allowing them to design benefits that attract healthier beneficiaries. To our knowledge, there is only one peer-reviewed study, “The Distributional Consequences of a Medicare Premium Support Proposal,” by University of California-Los Angeles professor Thomas Rice and health consultant Katherine A. Desmond, that analyzes the effects of a Medicare voucher system that both retains traditional Medicare and uses risk adjustment to calculate payments to plans. This study simulates the additional costs that enrollees would face if they wish to remain in traditional Medicare under various assumptions about the effectiveness of risk adjustment. The plan modeled in this study and Romney-Ryan are remarkably similar in that both are premium support plans with risk adjustment and a traditional Medicare option. Some differences will doubtlessly occur, but we do not believe these differences are likely to change our results. 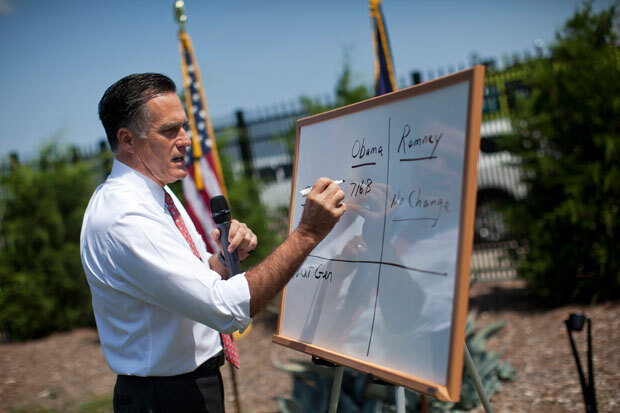 Moreover, we focus on the results that use the most favorable assumptions for the Romney-Ryan plan. We use the Rice-Desmond results and update them to reflect expected Medicare costs in 2022 instead of 1996, the baseline year they use. Table 1 shows the additional costs that would be paid in each calendar year by participants in traditional Medicare because of adverse selection. Even assuming highly successful risk-adjustment of 75 percent, far beyond what policy-makers have currently achieved, added lifetime retirement costs from adverse selection would likely exceed $29,000 in 2012 dollars. There is no question that the long-term costs of medical care need to be addressed. But forcing seniors to shoulder the entire burden of rising health care costs is not the solution. A better, more just solution is to address the underlying causes of high health care costs, reducing costs overall, and enabling everyone to pay less without compromising access. The Affordable Care Act takes many steps in this direction, but as we have outlined elsewhere, there is more to be done to make the system more efficient overall and create better value for both individuals as well as the government. David Cutler is a Senior Fellow at the Center for American Progress Action Fund and the Otto Eckstein professor of applied economics at Harvard University, Topher Spiro is the Managing Director for Health Policy at the Center for American Progress Action Fund, and Maura Calsyn is the Associate Director for Health Policy at the Center for American Progress Action Fund.